Bacon and Egg Cups make a delicious, hearty breakfast perfect for serving at a brunch or special occasion. Y’all probably already know by now how much my family loves eggs. I use plenty of them each week in preparing various savory and sweet recipes, not to mention breakfast. They are definitely a staple ingredient in my kitchen! We’ve also had chickens since Little Buddy volunteered to bring home the baby chicks his class hatched when he was in kindergarten. Always up for a new experience, we happily agreed and welcomed chickens into our family. 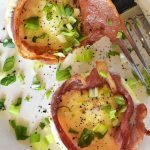 These bacon and egg cups are so easy to prepare and make such an impressive dish for your family’s breakfast. 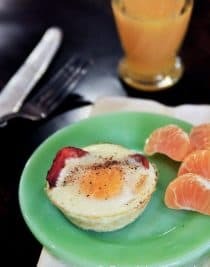 In less than 30 minutes, you’ve prepared a full breakfast that you know will give your family the protein and energy they need to start their day off right. 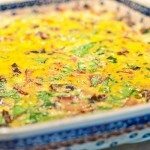 While my recipe includes the classic ingredients of bacon, eggs, and bread, you can easily add in some of your favorite herbs and or cheeses to add even more flavor to this dish. Customize them for each person based on their favorites. 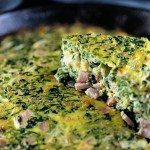 Why not add a little shredded cheddar or some leftover spinach from supper? You could even serve along with a salad for a light lunch or supper. 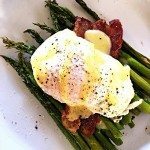 Here’s how I make my Bacon and Egg Cups recipe. I hope you love them! Bacon and Egg Cups make a delicious, hearty breakfast perfect for serving at a brunch or special occasion. 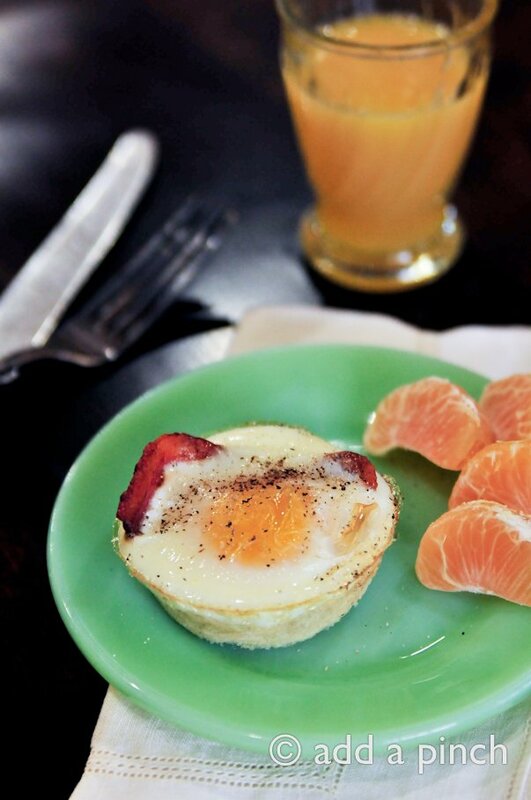 Get this delicious bacon and egg cups recipe! Lightly spray 6 muffin cups in a standard muffin pan. Cut bread slices with large round cookie cutter. Press one bread circle into each of the muffin cups until lightly flattened. Cook bacon slices in a skillet over medium heat, until they are almost crisp, about 4 minutes. Place 1 bacon slice in each bread cup in each of the muffin cups. Crack an egg into each of the bread cups. Bake until egg whites set, about 15 to 20 minutes. 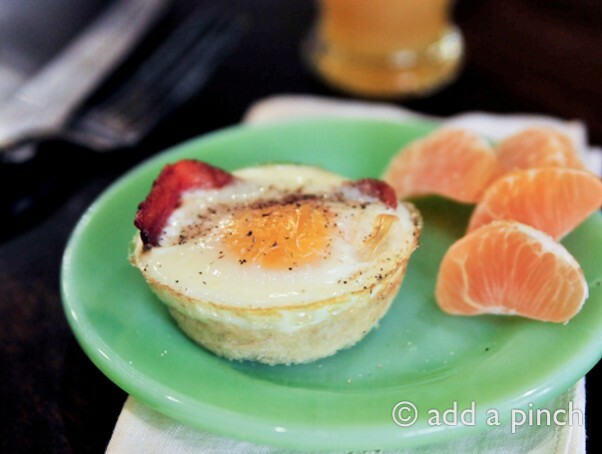 Run a knife around cups to loosen bacon and egg cups for easy removal from muffin pan. So glad I could help move you to make these, Rachel. They are so simple and delicious that once you start making them, you think of them time and again. Great recipe! Looks yummy. I totally get your comment about the eggs. We always get our eggs from local farmers, but have been seriously talking about having our own chickens. Is it hard? Thanks so much, JenMarie. It is! Regarding the chickens, there are some days that are definitely harder than others, but if you are considering it I would definitely recommend starting with just a few. Yum, these look perfect for a warm and hearty breakfast. And not too difficult, either! Thanks for the recipe! This sounds delicious and I can’t wait to try it. 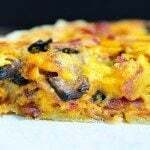 I’m always on the lookout for easy, quick breakfast recipes, and this one sure fits the bill! My son’s family has chickens, and it has been a wonderful learning experience for the kiddos (ages 6, 4, 4). The children learn responsibility as well as where their food comes from, and the family has wonderful fresh eggs. Before the hens stopped laying for the winter, the kids even made a few dollars selling eggs. Great experience! Do you save your egg shells, then give them back to the chickens? 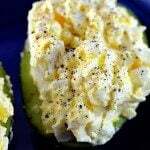 Hens love to eat crushed egg shells. If you’ve ever dropped an egg when gathering, you probably already know this! This looks really easy and fun to make (always looking out for recipes to make with granddaughter). Growing up we had chickens – never liked them – they scared me! Always afraid I would encounter a chicken snake in the chicken house (my excuse to get out of egg gathering)!!! Anyway, I do love eggs and will make this recipe!! Thanks! Simple is good. And, these look simply great! My Mom made these all the time growing up! Absolutely LOVE these little cuties! We love some eggs too. And this recipe is one I will try the next time we have guest. YUM! perfect timing =) I was just thinking about breakfast!! !